Last week the Forest Park Community Garden Youths made a visit to the Forest Park Community Center. Our visit was prompted by a garden member who asked us if we could deliver a harvest of Swiss chard and squash to the food bank on her behalf. 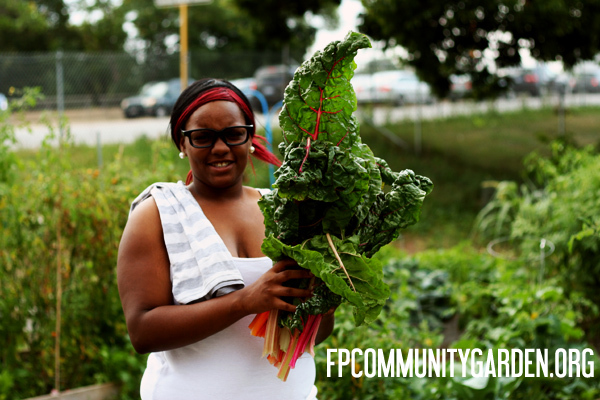 As you may know, the community garden is home to several food pantry garden beds, along with the Giving Garden that any resident can harvest from, and the crops grown in these beds are donated to the food pantry. The youths are all residents of Forest Park and surrounding suburbs, and they weren't familiar with the concept of the food bank, and that there was one located in their community. 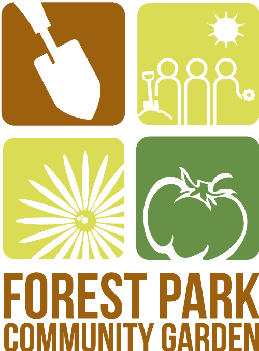 We learned that 70 Forest Park families are qualified and registered with the food pantry to receive a box of food staples a month. Learning that so many of the garden's neighbors were in need made the kids want to do more to help them. So, we're letting members know that were willing to deliver any of your extras you may be harvesting. If you'd like to participate, place your produce in the shed on Sunday, Monday, and Tuesday nights and we'll deliver anything you've harvested and care to share on Monday, Tuesday and Wednesday mornings through August on your behalf.